While the main event at “UFC 126: Silva vs. Belfort” will feature some Brazilian-on-Brazilian crime, light heavyweight Jon Jones upped the ante by likening his showdown against Ryan Bader to an epic Superhero-on-Superhero battle. No, not the Hulk of ‘When it comes crashing down and it hurts inside’ fame. Even Jones wouldn’t dare size up a past-his-prime Hulk Hogan. Speaking of sucking wind, Bader appeared to gas in his unanimous decision win over Antonio Rogerio Nogueira at UFC 119. The beefy 205-pounder is perfect through his first 14 professional scraps, but is now staring the planet’s nastiest 23-year-old dead in the eyes. 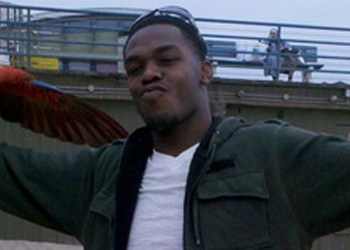 After collecting his second consecutive 1stRound TKO victory en route to bumping his record to a dominant 11-1, Jones screamed for a step up in competition. While most thought Vladimir Matyushenko should have provided more resistance than he was able to at “UFC on Versus 2,” Jones believes “Darth” will be his toughest test to date. “Spider-Man” Jones will battle “Hulk” Bader at UFC 126 on February 5th inside the Mandalay Bay Events Center in Las Vegas, Nevada. Coincidentally, Anderson “The Spider” Silva defends his middleweight crown in the night’s featured contest against Vitor Belfort.